This Penguin Wine Bottle Holder measures 7" tall, 9.75" long and 4.5" deep approximately. 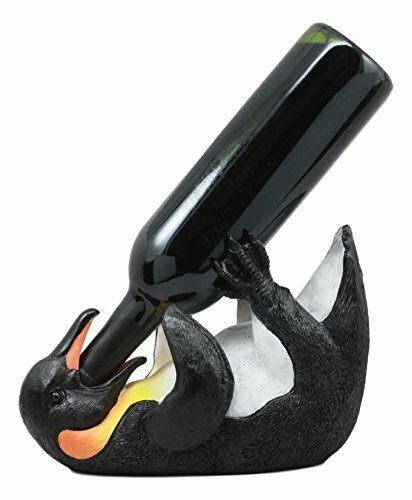 This Penguin Wine Bottle Holder makes a great centerpiece for your wine cellar or your dining table!!! Give it away as a gift to a loved one too!!! Our sculptors have produced an amazing sculpture with lifelike details, resembling the emperor penguin. The penguin hugs the bottle, lying on his back as he guzzles the juice away!!! Beware of this drunk penguin in your home!